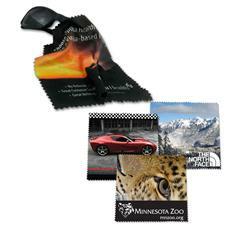 Tradeshow giveaway under a dollar - Microfiber cloth. Full color microfiber cloth for smartphone, tablets, computers and eyeglasses. Gorgeous full color imprint. Soft scratch-free microfiber fabric. Photo quality images with high resolution. 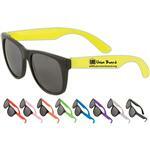 Available Colors: Printed Full Color. Production Times Available: 5-7 Business Days. Rush available, please call! Typical Imprint Area(s): 6" x 6"
Microfiber Supersoft Cloth for smartphones, tablets, computers and eyeglasses. Ask to see a sample!